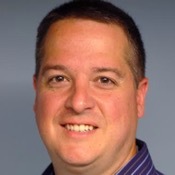 In 1998, Mark received his Bachelor of Science degree in Accounting from Shippensburg University and became a Certified Public Accountant in 2003. Subsequent to the receipt of his degree, he joined his father's firm, Thomas C. Wetzel, CPA and remained with the firm for 3 years subsequent to the firm's merger with a Central Pennsylvania regional CPA firm in 2000. During his tenure with this firm, he developed expertise in various areas of public accounting, including preparation of individual, corporate, partnership, trust, LLC and payroll tax returns, automobile dealership accounting, LIFO inventory accounting, accounting systems and the preparation of financial statements. In 2003, Mark recognized the local business communities' need for a CPA firm that provides personalized services delivered one-on-one to them. At that point, he committed himself to establishing a CPA firm that would deliver the highest quality service possible in a timely and cost-effective manner. Craig Kern received a Bachelor of Arts in Business Administration from Lycoming College in 1972 and went on to complete additional accounting courses at Penn State University in 1976. 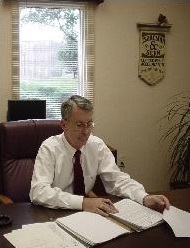 Craig earned his CPA certification from the Commonwealth of Pennsylvania in 1976. After graduation from Lycoming, Craig worked for three years as an office manager for an insurance company. Craig then worked one year for Boyer & Company (now Boyer & Ritter CPA's) as a staff accountant. From 1977 to 1981 he worked with Bruce Isaacman, CPA also in the capacity of staff accountant. In 1981 he became Bruce's partner and the firm became known as Isaacman & Company. Upon entry of another partner in 1990, the firm became known as Isaacman Kern & Company. In 2002 Craig returned to his Carlisle roots opening his office there as a sole proprietor bringing with him many loyal and satisfied clients from the partnership. Craig and his wife Dolly live in Carlisle. Craig is a member and elder of First United Church of Christ. Craig is a member of the board of directors of United Church of Christ Homes, Inc. and served as board president from 2002 to 2005 and currently serves on the finance and personnel committees. Craig also formerly served as a member of the board of directors, and treasurer of Carlisle Housing Opportunities Corporation. Craig is a member of numerous Masonic organizations: St. Johns Lodge #260, York Rite Bodies in Carlisle, PA, Scottish Rite Bodies, and Valley of Harrisburg. In 1983, Beverly earned her Associate Degree in Accounting at Central Penn Business School. After Beverly and her husband raised two children, she decided to return to Central Penn and in May of 2013 received her Bachelor Degree. Beverly has worked in the accounting field for many years in the Accounts Payable department of a large company. 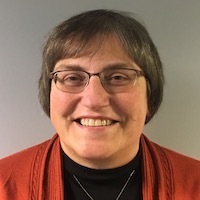 She has also served as treasurer and financial secretary to a variety of civic and religious organizations in the area. Prior to working for the firm of Mark L. Wetzel, CPA, she worked seasonally for a local tax preparation firm. Cindy's been keeping books for over 25 years, with 4 years as owner of her own bookkeeping business and several years working with Craig. Cindy's expertise includes bookkeeping, preparation of financial statements and tax returns, along with software installation and support. Cindy lives in New Cumberland with her husband Skip and is a member of PAWS, an organization dedicated to animal welfare. She holds a Bachelor's degree from Millersville University. Nicole graduated with a Bachelor's Degree from Messiah College in August 2017. In November 2015, she was hired as an intern at Mark L. Wetzel, CPA. Prior to her internship, she worked as a bookkeeper for two local companies. Upon graduation from Messiah, she became a full-time staff member at the Firm. Nicole plans on sitting for the CPA exam in 2019. Nicole has lived in Central PA her entire life. She graduated with Honors from Cedar Cliff High School. 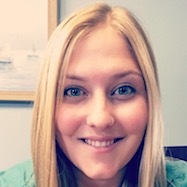 Nicole currently resides in Duncannon with her husband, Hunter and her three furbabies. Craig & Cindy's associate Tango died suddenly at the tender age of 8 1/2 on October 1st, 2014. To say he is missed is an understatement. Not only did he make it a much happier experience for us to come to work, he also brought a smile to everyone else who came in the door. He loved to perform for visitors and be rewarded with treats and, if you were lucky, he gave up his window seat to you. As we like to say, he was the best dog ever! If you're checking this out, please take a moment to donate to your favorite animal charity in his memory. RIP big guy!